The members of the Australian Gender Equality Council represent over 500,000 women in the workplace. 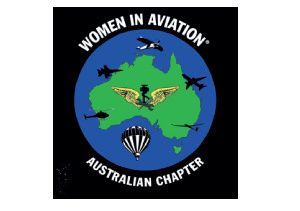 Our members are dedicated to AGEC’s vision of achieving gender equality in Australia. The Alliance is a leading voice for the education and empowerment of girls and women in Australasia. AMMA recognises that gender diversity has swiftly emerged as a top priority for the resource industry. of women and their advancement in the workplace. BPW Australia is a community of women working to end gender inequity. 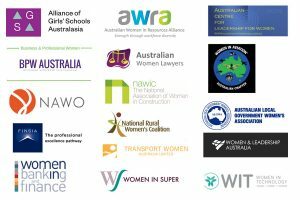 Australian Women Lawyers was established in 1997 as the peak body for women lawyers’ associations throughout Australia. economic Security4Women (eS4W) is an alliance of women’s organisations united in the belief that economic wellbeing and financial security are essential for women and will enable women of all ages to have an equal place in society. NAWIC is an Australian Not-For-Profit organisation formed in 1995 whose vision is for an equitable industry where women can fully participate to reach their full potential. The Australian Local Government Women’s Association (ALGWA) was created in October 1951. FINSIA is a not-for-profit membership association for financial services professionals in Australia and New Zealand. involved in various capacities in the Road Transport Industry. and supporting the increased presence of women in business and community leadership roles. WiBF creates smart and innovative business opportunities for its members. Women in Digital was created in 2014 whilst founder Holly Tattersall was working in Digital Recruitment and noticed the lack of female role models and leaders in the industry. Women in Gaming Australasia (WGA) is the only industry body in Australasia dedicated to empowering women working in, or looking to work in, the thriving and fast-paced Gaming industry. Women in Super is a national advocacy and networking group for women employed in the superannuation and wider financial services industries. WiT was founded in 1997 with the support of just 10 women.